For some people, baldness is inevitable because their genes will not let them grow old without losing a part of their hair. For others, there are some outside factors that have caused the condition. People who are experiencing partial baldness will then see themselves losing some hair on one part of their head, usually on top. But there are conditions when the hair loss occurs and the result is total baldness. It doesn’t matter if you are experiencing total or partial baldness, it can still affect you as an individual who needs to constantly interact with people outside the comfort of your home. There are those who would really feel depressed and who would lose their confidence and even their sense of self because of baldness. If you are one of those many people who are experiencing problems related to this, you do not have to worry anymore because a very convenient hair replacement in Doncaster is now available. If you have tried wearing a wig, you would know that it is very inconvenient to have one especially if you are a person with a very active lifestyle. If you are looking at surgery, it can be scary because of the effects that may manifest even after you have gone through the process. These are just few of the considerations that were taken when this hair replacement system in Doncaster was being conceptualized. The comfort of the client is our priority. This is also why the steps in getting you a new hair is very easy and convenient. The part of the head where the hair will be attached is going to be measured for the creation of the personalized material where the hair will be mounted. The hair will then be attached to it and it will be placed in the head with the use of natural glue that is perfect for skin. This way, it will not fall off and it will be perfectly fit in your head. The last part of the process will be done by a hair specialist. The main goal is for you to get that new hair that perfectly fits your face, your skin and your personality. 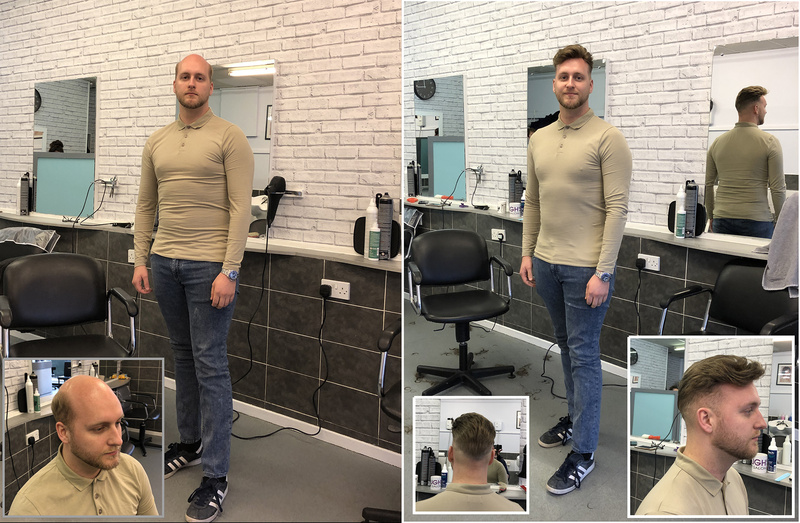 Before you get out of the salon and enjoy the result of hair replacement in Doncaster, you will get to enjoy to be pampered by our hair stylist. This way, you will go out into the world with a new born confidence. With today’s technological innovation, there is no need for you to settle for less. You deserve to gain that confidence back again. Do not just stay in the corner, you have to stop feeling sorry for yourself. If you are from the town, you can easily look for our salon. For those who are from other places, you do not have to worry because we can accommodate everyone who needs our help. All you need to do is contact us or just come over for a visit.